heliosolaire offers a range of solar street lights among the most reliable and efficient for your lighting project resulting from photovoltaic technology. The photovoltaic street light of our manufacturers and distributed by heliosolaire have been rigorously selected on criteria of high quality and reliability for an optimum energy autonomy. Made in France, the solar street light ABEL is part of a renewable energy approach for public lighting with an aesthetic and reliable product. The installation of a photovoltaic streetlight can be associated with a public lighting project, pedestrian street, bicycle path, parking or leisure sites. Tubular galvanized steel mast with a height of 4 meters, batteries integrated in the mast which facilitates the maintenance operations. The luminaire in aluminum and glass type: ECLISSE IP66 orientable at 360 ° of 12 diodes to 120 lumens per watts. Regulation of the illumination according to a presence detector, in order to increase the autonomy.Photovoltaic panel delivering 75 or 120 Wp. Control of the solar charge by an electronic sensor. 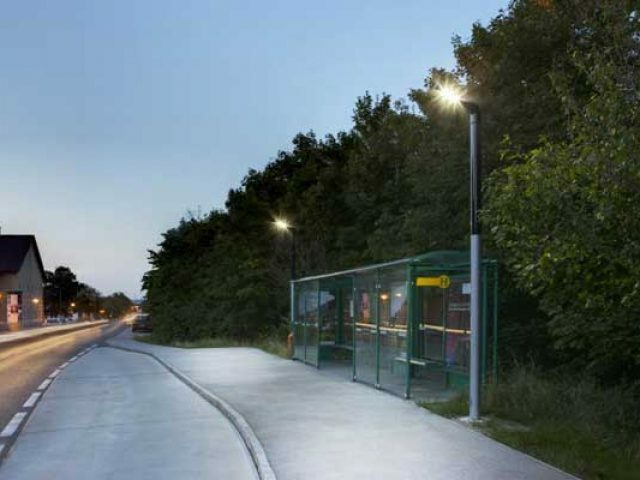 Phillips experiences for your project to install solar street light in a leisure site, car park, pedestrian street, industrial sites, urban roads. 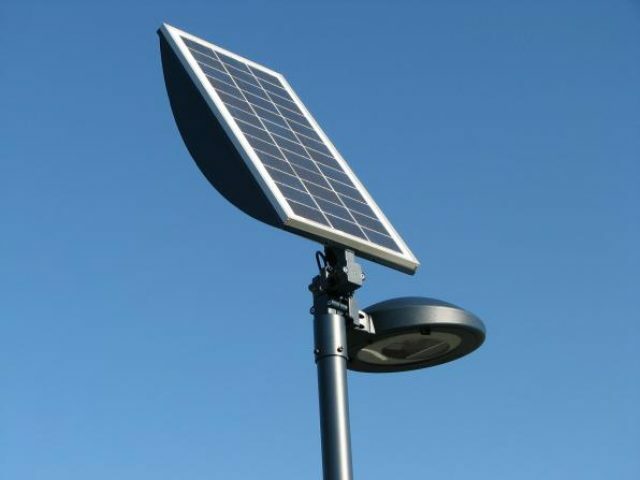 A wide range of solar street lights for all types of applications. 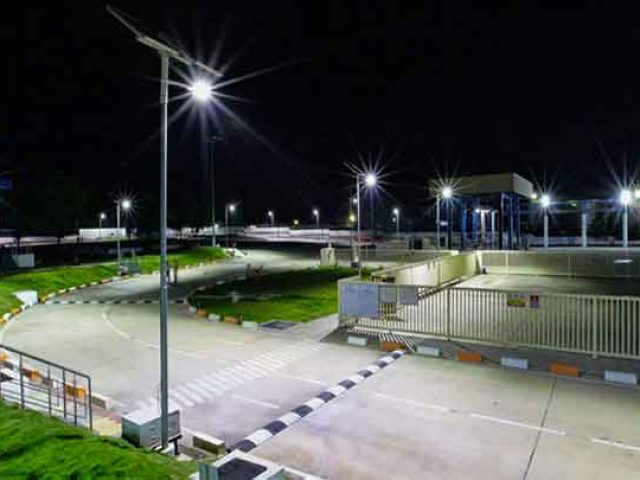 The benefits of a solar street lights implementation are multiple: a desire to move forward with the energy transition, ease of installation without cables and trenches, reduction on the energy bill and on the cost of installation and ease of maintenance are major advantages for the installation of solar street lights. The Austrian manufacturer hei develops and innovates the technique of these solar street lights for more than 10 years. The integration of the cylindrical photovoltaic cells in the extension of the masts ensure the aesthetics of the photovoltaic products hei with irreproachable technical qualities. Hei solar street lights have been installed in several countries around the world like Japan, and Quatar displaying in an international development dimension. The applications of solar street lights proposed by heliosolaires are multiple as well in urban roads as on sites of the general public like outdoor centers or sports sites. The Austrian Photinus manufacturer continues to develop in the market for residential photovoltaic streetlights and for street lighting projects. Solar streetlights require very little maintenance and installation operations are simplified. The equipment was selected for performance and affordability. 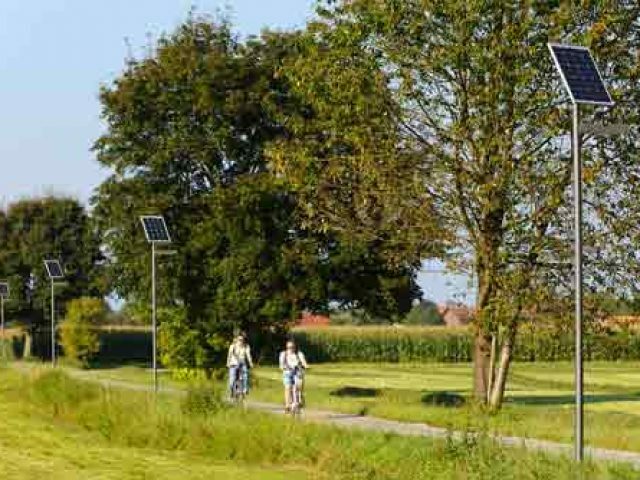 The Photinus solar streetlights are ideally suited for lighting applications such as bicycle paths, pedestrian streets, tourist sites or other street lighting projects.